Pankaj Vikas Mandi and Harshid Subodh Khade, both of Kolhapur were injured in car accident while attempting to dodge Khanapur police at Maan Chowky check-post near Chorla. They were in a Spark car with MH09 registration. 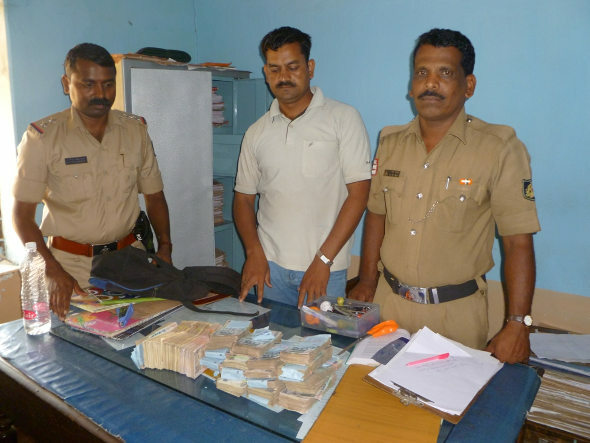 Police recovered cash of Rs 7 lakh from their possession and when inquired why they had so much cash, they replied that, they intended to buy a car and also told that cash was withdrawn from KVG Bank of Ponda branch. Injured are admitted to Vijaya Hospital. Dodging the police is a misdemeanour, but what’s wrong in carrying cash?